You can also open a blog post you’ve been working on from your computer and continue editing it while you’re on-the-go. Your blog posts are automatically synced across devices, so you’ll always have access to the latest version. 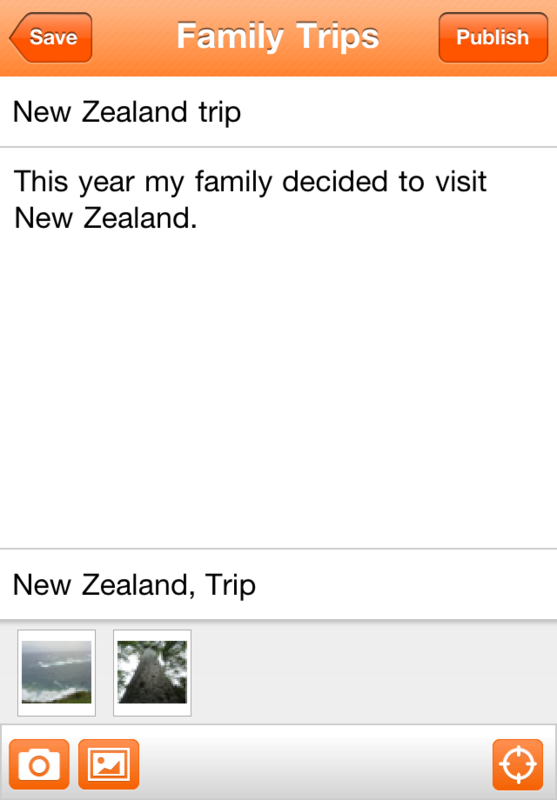 The app also allows for adding pictures to your blog posts by choosing from your camera roll or taking a new photo. Yes, you can label posts, too, and add location. Plus, the app allows for more than one Blogger account or blog and you can easily browse the list of saved and published posts. Unfortunately, looks like we’re gonna have to wait a little for a universal binary because the inaugural release isn’t optimized for blogging on the iPad’s gorgeous 9.7-inch display, which is a shame.